Today we live in a society and a country that praises the virtues of individuality and does not see much worth in a covenantal world-view. This view of life has infected the modern church– everything is seen in terms of individuality: church membership, family roles, salvation, even the Bible. But the Bible does not come to us in a vacuum; it is given to us by a gracious and loving God Who has condescended to have a relationship with His people. The way in which God relates with His people is by way of a covenant. In this class, we will be looking at the covenant and at “covenant theology” as a way of understanding the great truths of the Bible and the great unity of the Bible. We will be constructing “covenant colored glasses,” through which we will see all of life. 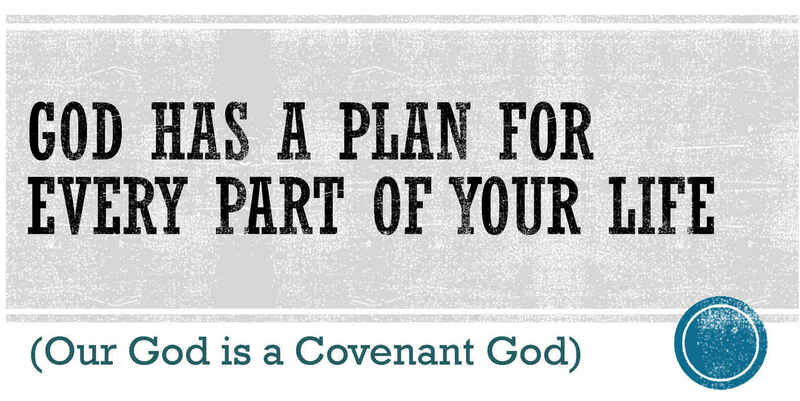 God does have a plan for every part of every believer’s life, and that plan unfolds in the context of His covenant. This class will not be an academic exercise in understanding what a covenant is– it will instead be a way for us to understand our relationship with God, our families, fellow believers and the world.